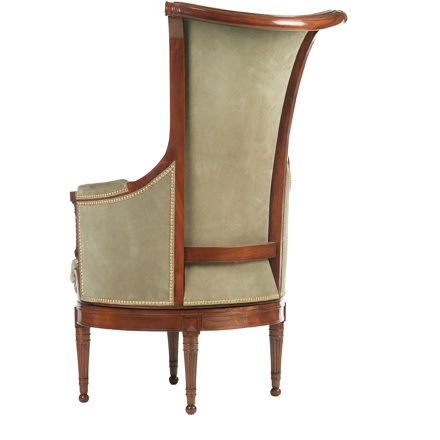 Based on a 19th Century French design, the revolving Directoire Chair features an unusual and graceful over-scale scrolling and waisted back, with reeding at the base. 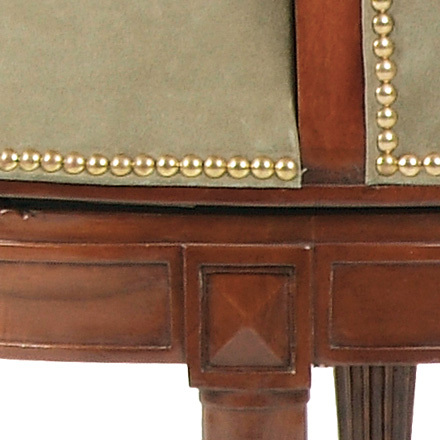 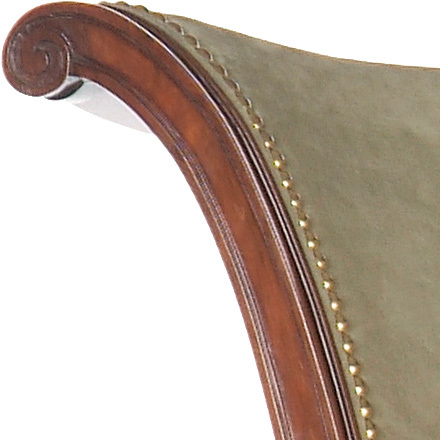 The mahogany chair stands on fluted legs, the substantial arms supported by the baluster-shaped columns. 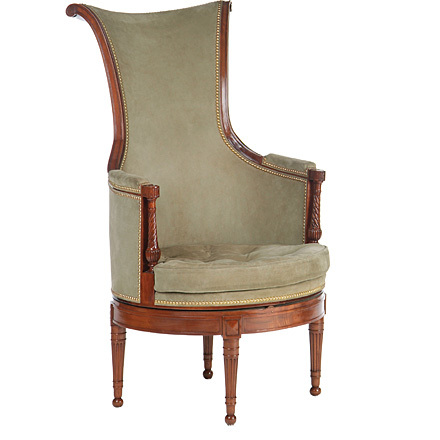 The original Fauteuil de Bureau, attributed to Georges Jacob c. 1800, is in the collection of Mr. and Mrs. Gordon Getty in San Francisco.